As part of a new ongoing series of interviews with young (and young at heart) local artists who have been a part of, or influenced by graffiti and street art, we caught up with young stencil artist Jacob Root, aka Distranged Design. 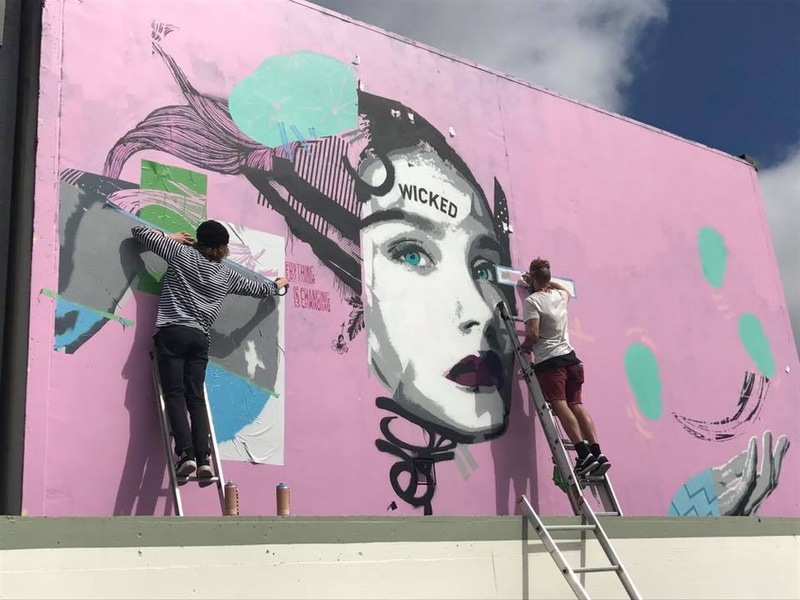 The diversity of the city’s young creatives is notable, but the influence of urban art is undeniable in the work of many, either evident in techniques, material approaches, conceptual ethos, or of course, although not exclusively, by the explicit act of working in the streets. 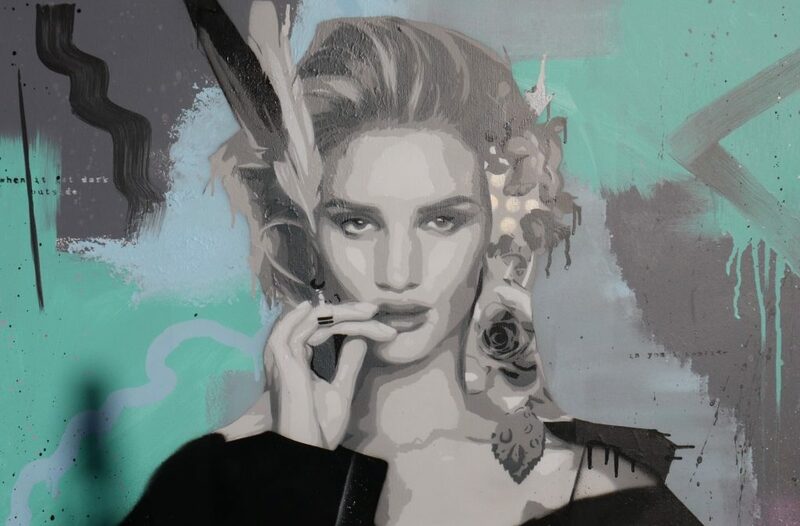 Jacob’s work has been undeniably influenced by the global rise of urban art and locally by the emergence of graffiti and street art’s popularity and visibility. 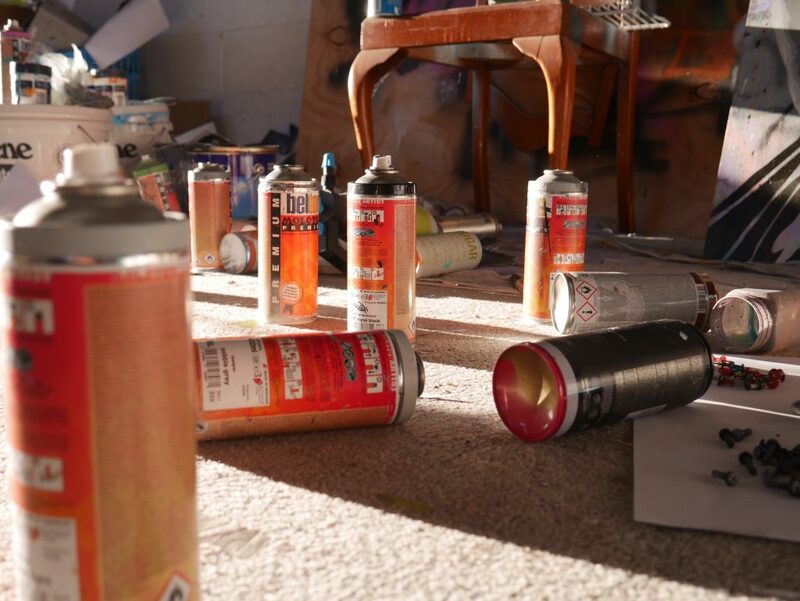 While he does not have a background in graffiti writing, his work illustrates the way urban art has become an established visual language and gateway for young creatives both inside and outside, raising questions about the notions of ‘authentic production’ and highlighting the evolving landscape of this cultural phenomenon. 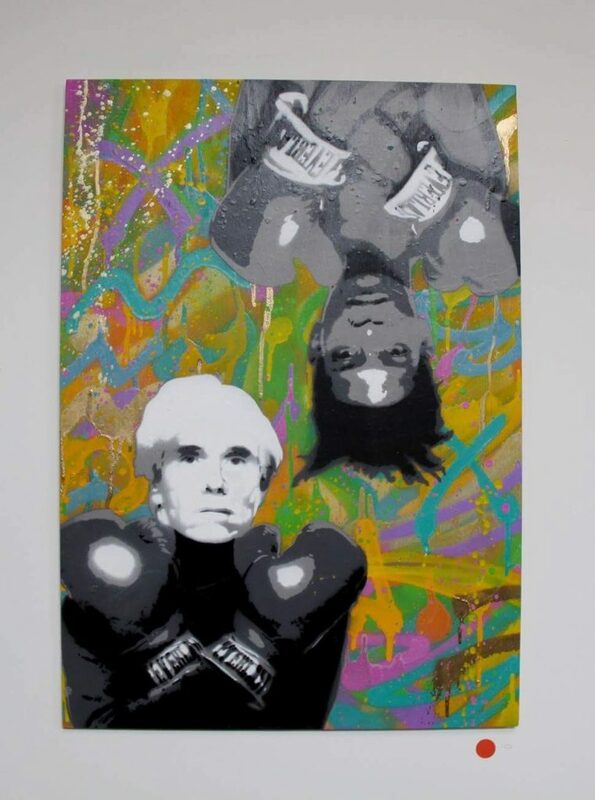 His choice to use employ stencils is fitting, as the technique is a microcosm of sorts of these winds of change, the guerrilla political roots are still inherent, but they now exist alongside intricately detailed studio productions and large-scale murals. Recently its been the Chorus project, which are the big cabinets, the green boxes around the place. I got asked to do two of those to spruce up an area in Gayhurst Road. 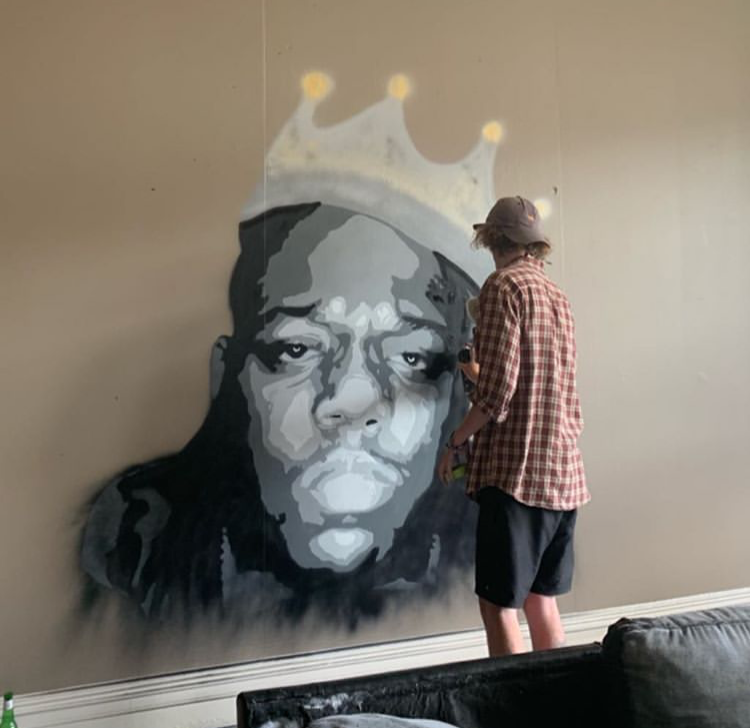 I was pretty stoked to get asked to do that, I wasn’t really expecting anything like that to come along, but yeah, its been awesome doing bigger pieces, bigger stencil works. It’s so much more fun to work on that bigger scale. And you’ve worked with Joel Hart on a couple of his pieces, how have you found that experience? That’s awesome aye, it’ so cool, Joel’s such a nice guy. It’s so much fun learning different approaches to things that I wouldn’t have thought about doing, different ideas on stencil work. So yeah, it’s so cool. Are you from Christchurch? 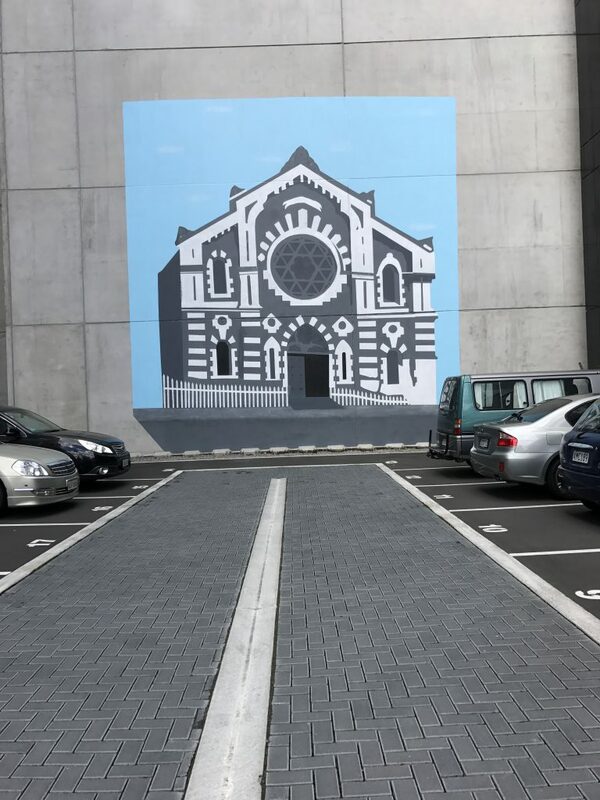 Are you born and raised in Christchurch? So you’ve obviously been here through a pretty chaotic but fascinating time period, and especially for the rise of urban art. So, at your age, the experience of the city being rebuilt, it must have been a pretty formative period for you right? How much of an influence has this post-quake landscape and the visibility of urban art had on your work? I love like, just going through town now, everywhere you look, there’s so much street art. It’s just such a bright, vibrant kind of place to come through, even though like its had its dark toll on the city, there’s been a spruce up with the art and I reckon that its kind of like bringing it back to life, it’s been awesome. It’s such an impact seeing top artists like Owen Dippie, I love his big ballerina piece [the now obscured piece on the rear of the Isaac Theatre Royal], seeing that kind of stuff in your own city, it just gives you a bit of a kick to keep going for more. Do you have a background in graffiti or street art in a traditional sense? Yeah, exactly, I like seeing the pop in the background before a work develops, I like seeing how it just kind of gives it that push forward and then that final piece over the top. Yeah absolutely, I love the style of SAMO, Jean Michel Basquiat, even though its writing and mine’s not like that, just seeing that out there, just different types of stuff. There’s an expressionistic quality, right? Yeah, and I just go with what I feel in my backgrounds, so it’s not going look the same each time. Yeah, I love seeing the people that have made a mark on cultures in what they’re trying to do in their life. 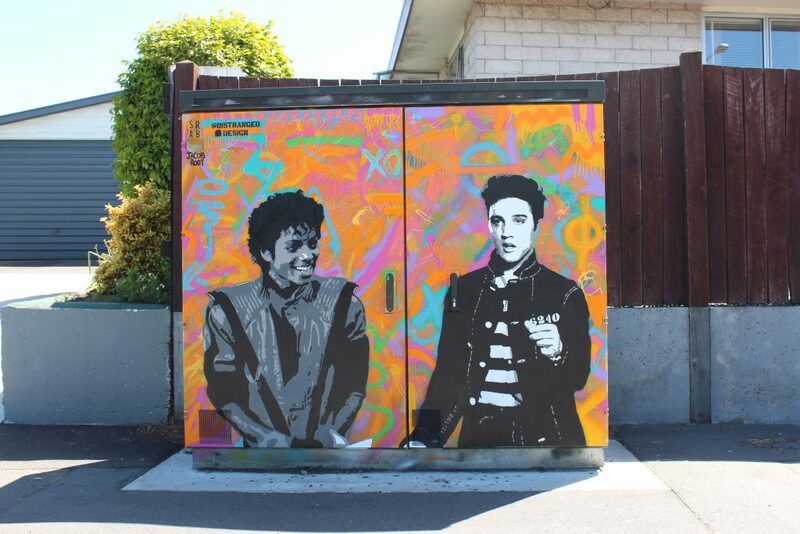 I think that’s a major push for me, just doing icons and things like that, like with the Chorus boxes I decided to go with legends, I did Michael [Jackson] and Elvis [Presley], I thought that was pretty fitting, its my type of style. 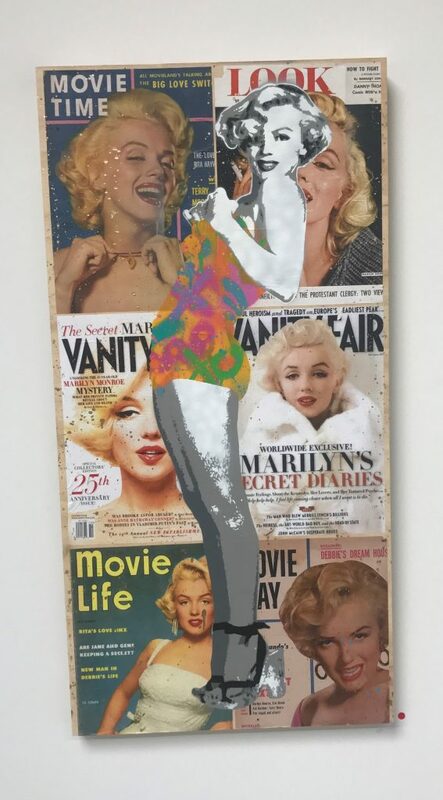 Actually I had a conversation with someone not too long ago, about how stencil artists often seem to begin by producing images of pop culture icons, and you appear to be another example of that. 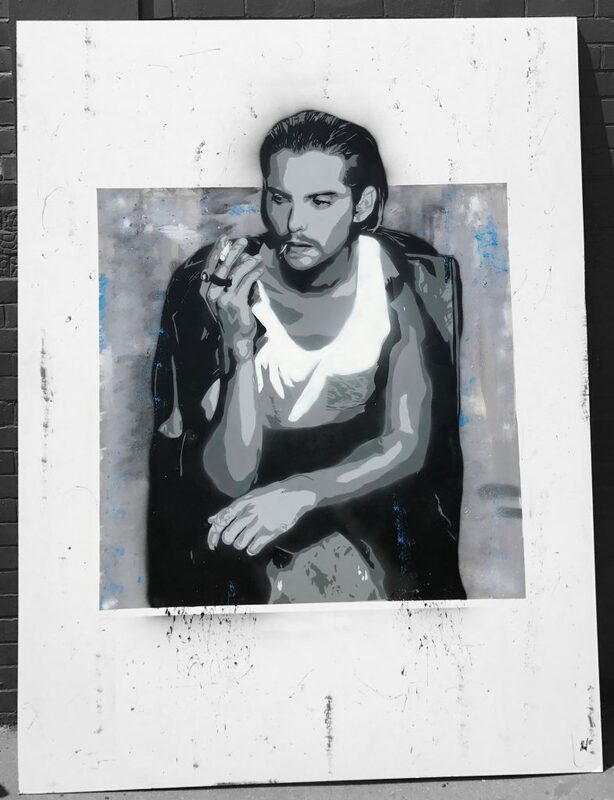 Why do you think that sort of imagery suits the stencil technique and aesthetic in particular? I think it is just like photographs that are iconic and things like that that people turn into art, I think that’s why people sort of turn to that style, or at least that’s why I’ve approached it because it’s cool bringing those photos back into perspective for other people. Yeah, it’s kind of like working from the background, back to front. It’s been fun learning stencils and learning all that process and trying different things. Any particular influences in terms of stencil techniques or the aesthetic you’ve developed? So your goal would be to start doing bigger walls? Obviously it produces a lot of challenges, and working with Joel [Hart] would help to start to overcome some of those, or at least to think about challenges that come up. What challenges has the stencil technique already thrown up and how has your mindset developed the ability to problem solve? Even just doing the Chorus boxes, printing the stencil plates to the right size was a challenge, connecting the pieces of A3 paper to get them the exact same scale and stuff for each layer, because otherwise its gonna throw the piece out. But Joel’s taught me a lot, doing the Welles Street mural and it has been awesome kind of putting that to use in my own work, it’s been sick, it’s been so much fun. How do you break down the process from cutting to spraying a stencil? Do you always start with the image, or is the actual technique of putting an image together in an almost mechanical approach sometimes a stylistic influence? On a personal level, who has been particularly helpful in your development? My parents have been the best, they’re awesome. I’ve turned Dad’s brewing shed into my studio and basically that’s where I go and spray and do all my painting and things like that. And definitely Joel, he has helped a lot. He’s such a cool guy, I’m just thankful that he has taken time to come and help me, like it’s so cool just being able to work other artists, like even going into the Welder and everybody’s like so genuine, they like what they are doing and they are happy to help other people, it’s sick. What does the future hold for you? What are your goals and how do you see what you’re doing now progressing? My goal would definitely be to try and turn my art into a career, I’m pretty keen to do my Bachelors (Degree) so I have a back-up if that doesn’t quite go to plan, but it’s definitely what I want to go with because I’ve started to lose a bit of interest in studies as I’ve been doing so many different projects, it’s been so much fun. But, I’m definitely keen to start doing some walls and picking up the scale. Anything else that you want to add?